Biochemistry draws on all sciences to explore the living world and causes of disease at the molecular level. Our program is one of only a few that is accredited by the American Society for Biochemistry & Molecular Biology. 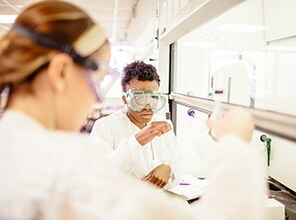 As a biochemistry student, you'll be encouraged to test your ideas through research from your very first courses and often using advanced equipment that other schools reserve exclusively for graduate students. In addition, all biochemistry faculty have active research programs. 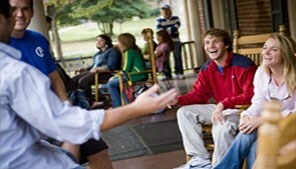 As a student, you'll gain valuable experience investigating real-world problems while working one-on-one with faculty. 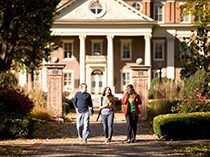 Students majoring in this field often go on to pursue a professional degree in one of the medical fields. 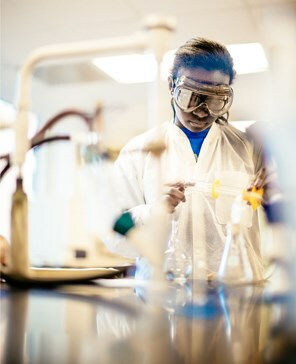 Others continue with graduate study in biology, chemistry or biochemistry, or enter the workforce. We offer a major in Biochemistry. At Roanoke, first semester freshmen use instruments that are available only to seniors or graduate students at many other schools. Alumni tell us that their experiences with instrumentation here distinguish them from the norm when they enter graduate school or the workforce. 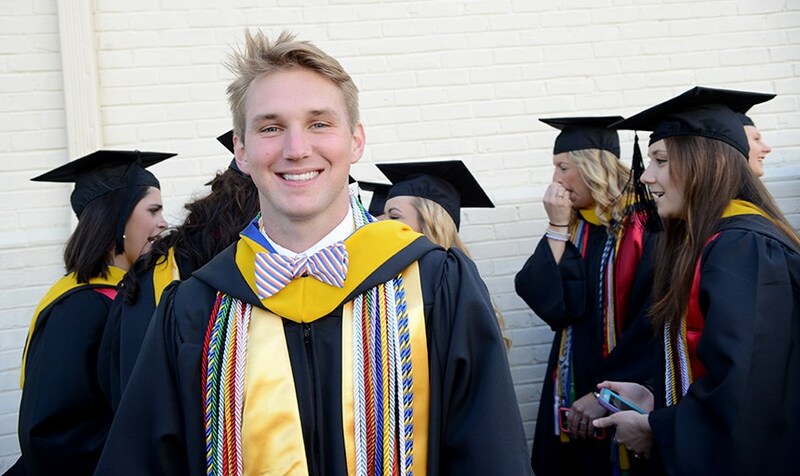 Cooper Tyree graduated from Roanoke College in 2015 with a major in biochemistry and a minor in Spanish, and is now studying at the VCU School of Dentistry in Richmond. During his time at RC, he was able to do an independent study on the microbiology and biochemistry of dental caries - or cavities. "I have always been interested in dentistry, and so figuring out what is actually happening in dental caries was a great way for me to explore that passion further," says Tyree. Tyree plans to finish dental school and then practice dentistry in Virginia/Carolina region. 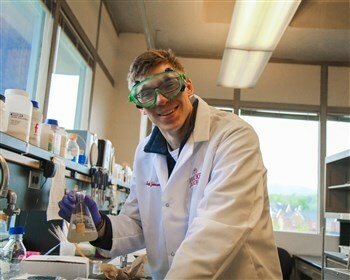 This student is gaining confidence while completing innovative research. 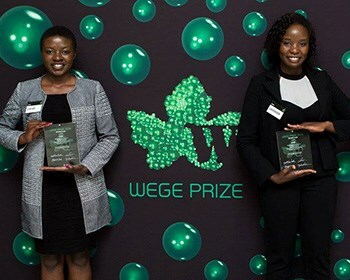 Two Roanoke students who grew up in Kenya joined with other Kenyan women to work to improve living conditions in the impoverished urban areas of their home country. Using a new, revolutionary technique in hopes of discovering a new gene has Matthew Johnson '19 excited for the future. "We are using a new, revolutionary technique called CRISPR/Cas9 in hopes of discovering a new gene," he said. 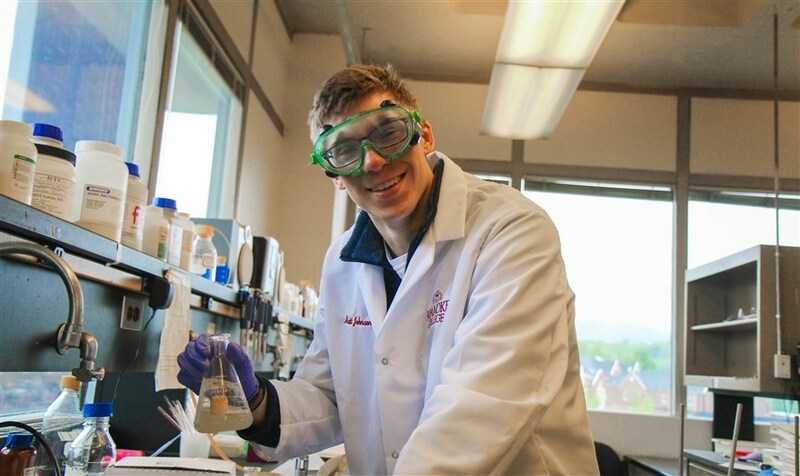 During a research internship at the Roswell Park Cancer Institute in Buffalo, NY, his research focused on Acute Myeloid Leukemia (AML). Johnson is particularly interested in cancer cells that are resistant to chemotherapy in order to prevent cancer relapse. He is working now in Dr. Cathy Sarisky's lab. "I've gained so much experience through this research and it's helped me apply to medical school this year," Johnson said.